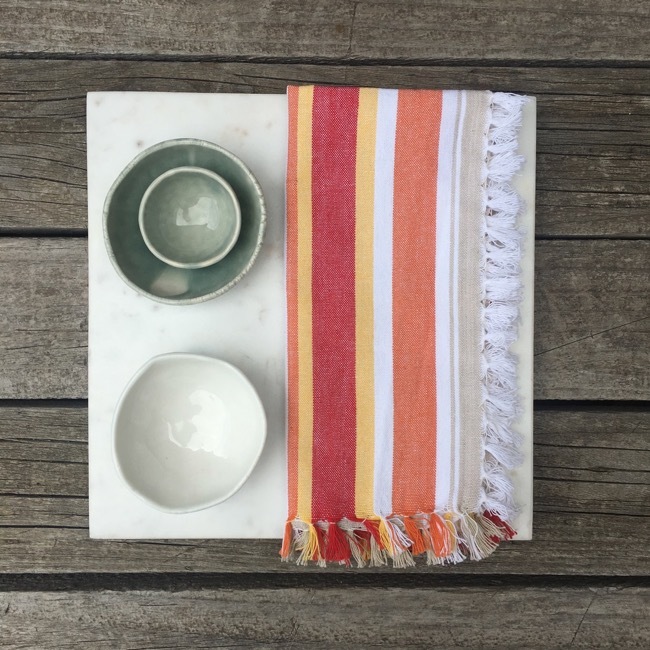 A dozen pack of cotton stripe napkins. No more paper throw always. Love and re use soft cotton napkins, great for the environment. Cheerful woven stripes with fringes all ’round! Durable and machine washable.